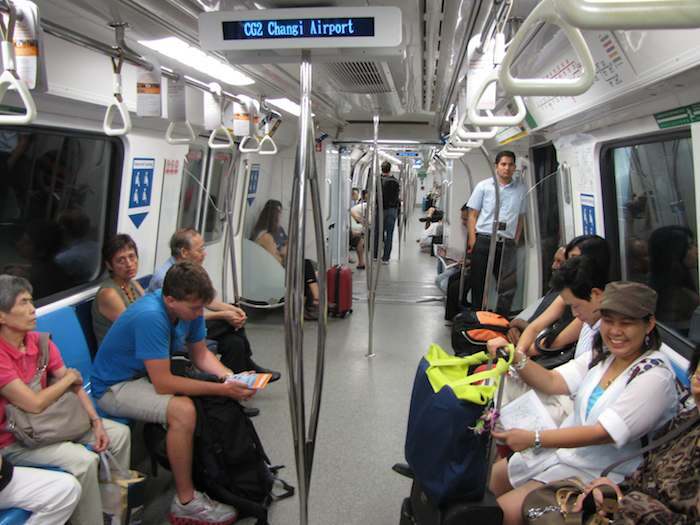 Photo showing the inside of a Singapore MRT train, by John Hunter. The second most important economic goal for Johor Bahru is creating many more high paying jobs in JB. The MRT extension is the single most important factor to make investing in making that happen more appealing to investors. Many other things are in place to allow the creation of high paying jobs in Iskandar but the poor transportation links to Singapore is a huge deterrent. The important of the MRT to the economic development of Iskandar was obvious 5 years ago, why such little progress has been made would have to worry any investor thinking of building a business that will provide high paying jobs in Johor Bahru. “The more convenient it is for people to move back and forth, the more benefits there will be to both sides,” said Prime Minister Lee Hsien Loong at a press conference marking the end of a two-day leaders’ retreat with Malaysian Prime Minister Najib Razak. The RTS – a train system connecting Johor Baru and Singapore that was announced in 2010 – is still in the works, they said at a press conference yesterday. Once Malaysia decides on the location of its terminal, the countries can discuss the connection – whether bridge, tunnel or a combination of both, said Mr Lee. That is a very disappointing timeline (“probably” by next year we will decide on where we want to locate the first station in JB and then can maybe start planning and getting detailed engineering studies etc.). In 2010, I would have targeted construction starting in 2013 or at latest 2014 for a project that was the most important factor to the economic prosperity of Johor Bahru. They also discussed the 3rd bridge option that, I stated years ago, should have been finished by now and in use. The very slow pace of action on improving transportation links should give anyone thinking of investing in Iskandar pause. It may still be wise, but the investing prospects are very much worse based on the slow pace of action on transportation needs the last 5 years. 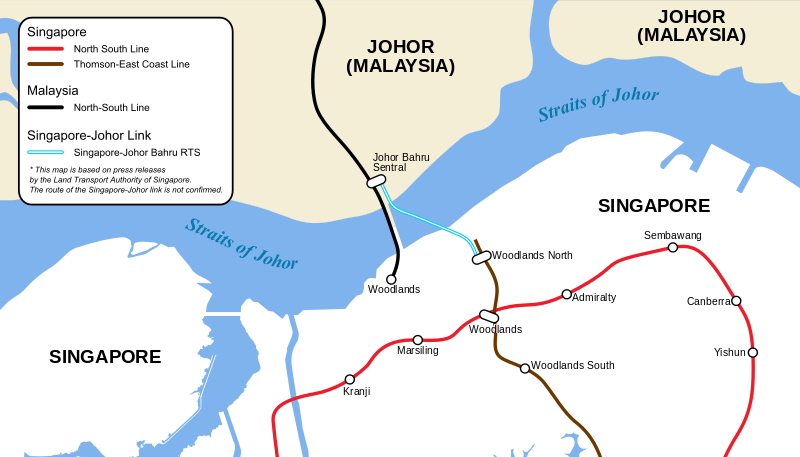 The MRT extension is critical for Johor Bahru. It is nice for Singapore but not a huge priority. If it were critical for Singapore it would have been in place by now (they plan ahead and invest it the needed infrastructure). Investors should be concerned that Malaysia hasn’t made sure this was given the priority it should have been and moved things forward much more effectively. I don’t think it is in the interest of Singapore government to allow smooth flow of traffic or people to Johor. The idea that good transportation connections between Singapore and Johor Bahru is bad for Singapore is understandable but is short sighted and simplistic. One of the reasons Singapore has done so well over the last 50 years is that their government has been wise enough to see what is in the long term interest of Singapore and pursue policies that provide Singapore long term benefit, even if it means some interest groups complain of short term costs. Other countries have far too often succumb to short term interest that result in policies that damage long term economic success. I have mentioned that Singapore is making more questionable decision much more often in the last 10-15 years. Singapore is already suffering from the consequences of short term thinking and that will increase if they continue to fall into the typical behavior of other governments. It is even more important for Johor Bahru for there to be good transportation between the two cities. And so Johor Bahru is, and will, suffer more due to the failures of getting the work that should have been done 5 years ago (and started 8 years ago – or as soon as the post credit crisis started) than Singapore is suffering now and will suffer. There are business leaving Singapore today and choosing not to locate their due to the high cost problems. As I have said many times, Singapore needs to understand the Manhattan model. You don’t see Manhattan trying to make commuting to and from Manhattan difficult. Most in decision making roles in Singapore know this. It seems that more often in the last 10-15 years though decisions are made not based on what is in Singapore’s long term interests but what matters for politically powerful interests (that are normally very short term focused). This is a common way for governments to act, Singapore has benefited from not falling into this common pattern as much as other countries. The future will depend, to some extent, on how well Singapore does at this today and in the future. The truth is that Singapore is in very good shape. Even if the government fails to act nearly as well as it did in the 1970s and 1980s and 1990s Singapore is likely to continue to do very well. It is just that it will do much less well than it could do if they retained the better government practices they used to have. Johor is in fairly good shape too. But it is in much more danger of having a less prosperous future. Better transportation connections to Singapore (and also via the JB airport) will make a huge difference in the economic future of JB. Then i believe that both countries would benefit if they were to have a look at Skyways transportation which has been desgned for the future.. follow the link and you will see what i mean!